South Central Railway was formed on 02.10.1966 when Hubli and Vijayawada Divisions of Southern Railway and Sholapur and Secunderabad divisions of Central Railway were carved out and merged into a new zone. Subsequently, Guntakal division of Southern Railway was merged with South Central Railway on 02.10.1977 and Sholapur division was re-merged with Central Railway. Secunderabad division was split into two divisions viz., Secunderabad and Hyderabad divisions on 17.02.1978. 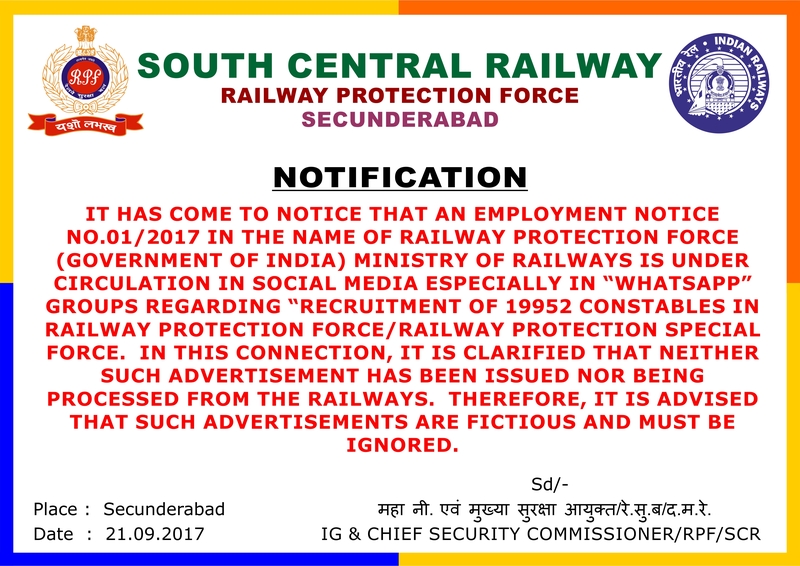 With effect from 01.04.2003, six full-fledged divisions viz., Secunderabad, Hyderabad, Vijayawada, Guntakal, Guntur and Nanded are in operation on South Central Railway. Hubli division, which was earlier in South Central Railway, has become a part of South Western Railway. South Central Railway serves the major portion of Andhra Pradesh, Maharashtra and small portions of Karnataka, Tamilnadu & Madhya Pradesh States. Out of total route kilometerage of 5748.905 km. Andhra Pradesh and Maharashtra covers 4287.355 km and 1115.820 km. respectively.